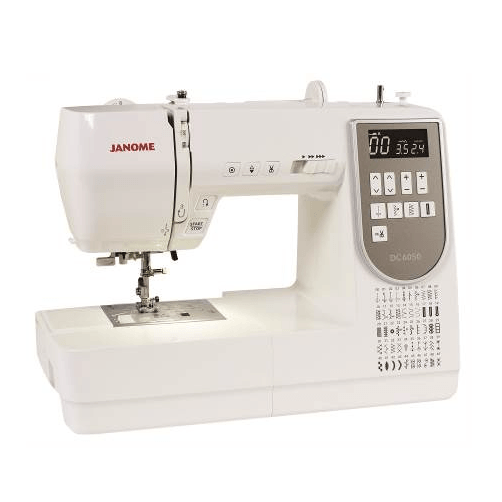 The Janome DC6050 is an easy to use, fully computerised sewing machine and yet it is packed with so many features. 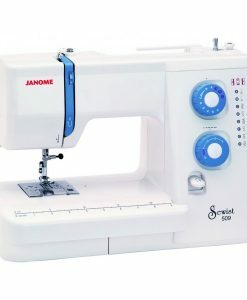 Direct stitch selection keys of your everyday stitches plus 3 one-step buttonholes. 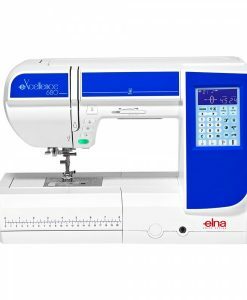 The LCD screen shows selected stitch, recommended foot, plus the default stitch width and stitch length which can be changed to suit your requirements. 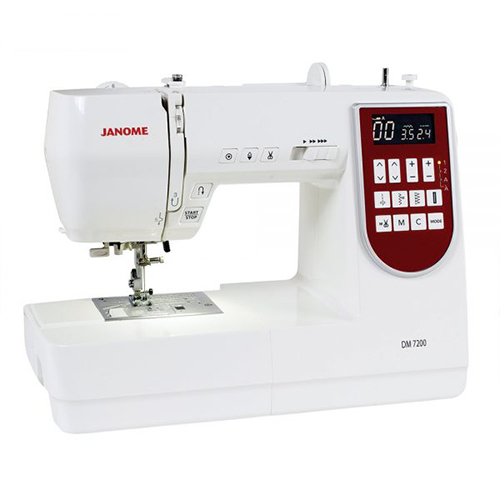 SKU: janome dc6050 Category: Sewing Machines Tag: JNSWM Brands: Janome. 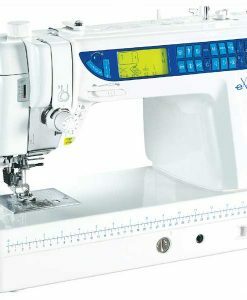 It offers a great range of stitches for all types of sewing and 6 levels of foot pressure enabling you to sew the sheerest of fabrics to heavy weight denim. 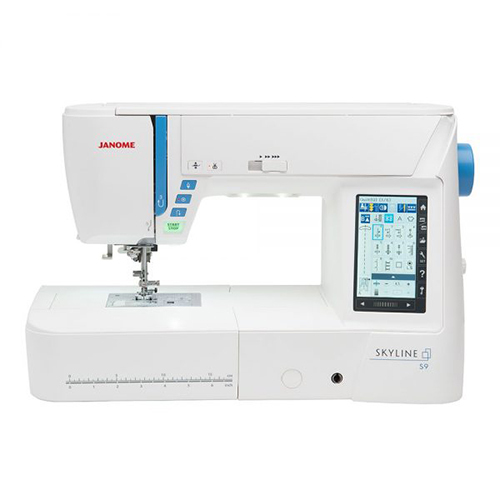 Special features include a NEW easy set bobbin system, built-in needle threader, automatic thread cutter, needle up/down button and an auto-lock stitch feature for precision locking off of stitches & patterns. 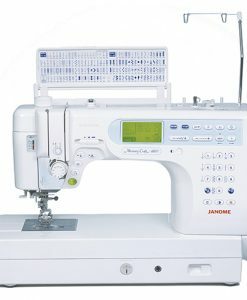 The start/stop button can be used instead of the foot control. 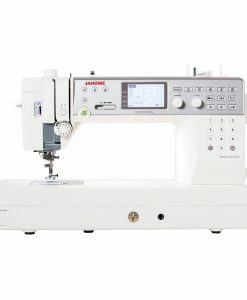 The DC6050 comes complete with a large extension table and a hard cover. 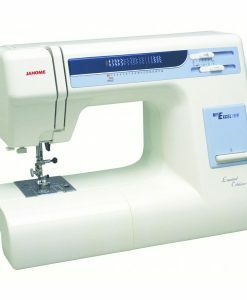 Uneven layers of fabric are no longer a problem. 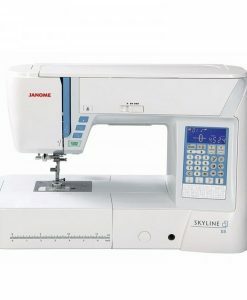 Simply attach Buttonhole Foot (R) into the Stabiliser Plate to ensure perfect buttonholes every time. Buttonhole Foot can be used without Stabiliser Plate. 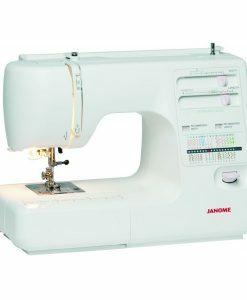 4 direct stitches give you direct access to your everyday utility stitches. 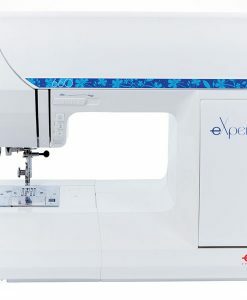 When selected the memory thread cut will automatically trim the threads after a stitch lock off. 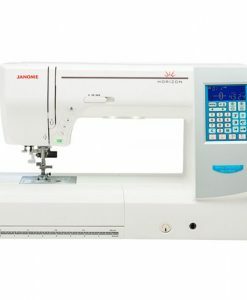 Featuring 6 levels of pressure for all your sewing needs. 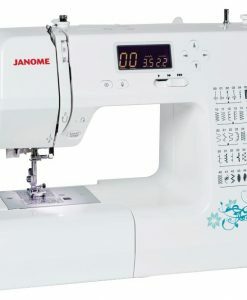 Seam markings, cornering guides and patented angle marks give you more sewing precision than ever. 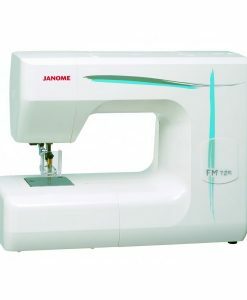 Standard accessory with machine, provides extra support for all your larger sewing projects.